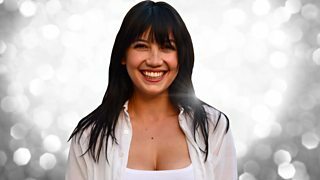 BBC Blogs - Strictly Come Dancing - Daisy Lowe is confirmed for Strictly 2016! Daisy Lowe is confirmed for Strictly 2016! British model and actress Daisy Lowe has been revealed as the eighth celebrity joining the Strictly class of 2016. Born and bred in London, Daisy has been modelling since the age of 15, having apppeared in print and on the catwalk for some of the biggest names in fashion. Lowe and behold, our 8th celebrity for #Strictly 2016! Please welcome @daisylowe! Here’s hoping Daisy delivers a model Tango and shimmies her way into the Strictly Final. After all, it would be a shame not to have her Grandma watching after 14 years of Strictly loyalty! For more on Daisy, take a look at her Strictly profile. And stay glued to the Strictly Facebook, Twitter and Instagram feeds to be the first to know about the latest additions to the Strictly 2016 line-up. Meet the seventh Strictly 2016 celebrity... Danny Mac! Swapping the BBC Breakfast sofa for Strictly sequins, it's Naga Munchetty!